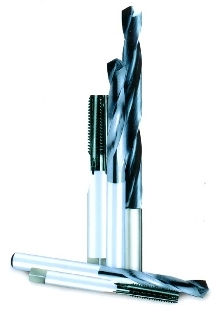 Deep-Hole Drill works with aluminum and copper alloys. Alloy Taps prevent bird-nesting in alloy steels. Thread Mills are suited for machining exotic materials. Rack Dies meet demands of automotive industry. 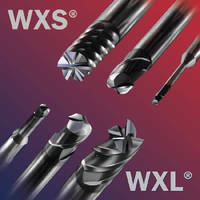 End Mills remove chips in aluminum applications. Thread Mills machine exotic metals. 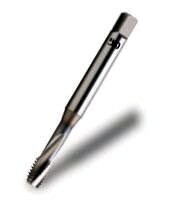 EXOCARBÃ‚® Thread Mills combine sub-micrograin carbide with TiAlN coating to handle materials up to 55HRC. Standard inch and metric sizes are available in UNC, UNF, UNEF, UNS, NPT, and NPTF threads. Mills are suited for difficult-to- machine materials such as Inconel, Titanium, and high nickel content alloys in aerospace, medical, and military applications. Cutting Tools have shiny finish. 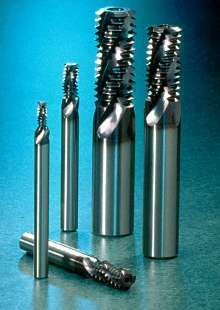 Cutting tools have coating made from ultra-fine (1Ã‚-µm) diamond crystals. They are able to drill and tap AlSiC material (63% silicon carbide) up to 150 times before replacement. Diamond coating allows tools to cut rather than rub, and does not flake or peel off.